Last edited by s.e.a.n. ; 07-18-2017 at 11:51 PM. Seriously? That price seems low. Tempted to sell mine and buy yours. It's priced according to KBB. I posted it on craigslist and I've been getting a bunch of lowballers. I figure I'd give it a try on here before I trade her in. Car looks great. What is the trade in value? $15? Have the headbolts been replaced?? I know someone who is looking for a nice 63. The head bolts were replaced last year Nov to the revised ones. I also had the cam adjusters replaced at the same time. Why is this a steal? Not being a pecker, just curious. It sounds like a 100% fair deal. Is it the P30 package? Are the mods that desirable? Beautiful car BTW (mine is also arctic white - so pretty). You shouldn't have any trouble selling that. I don't know if it's a function of where the OP lives, Miami, which I assume has a similar market to AMG's as the SF Bay Area, but I would think this car would go for $25k all day long here. More so, the head bolt job is roughly $3k to $4k. OP has that done as well. I'm not saying the car should go for $30k, but I do think $25k prior to headbolts job or $26.5k + after the headbolt job. Given that E46 M3's are still selling in the low $20k's and E9X M3's are still high $20's for a very used example, I don't understand why a C63 would be at $22.5k. Sorry OP, not to derail your thread, but I hope you get the most you can for your car. Don't let the lowballers get to you. For the miles and minor mods his price is fair and competitive. I wouldn't call it a steal. 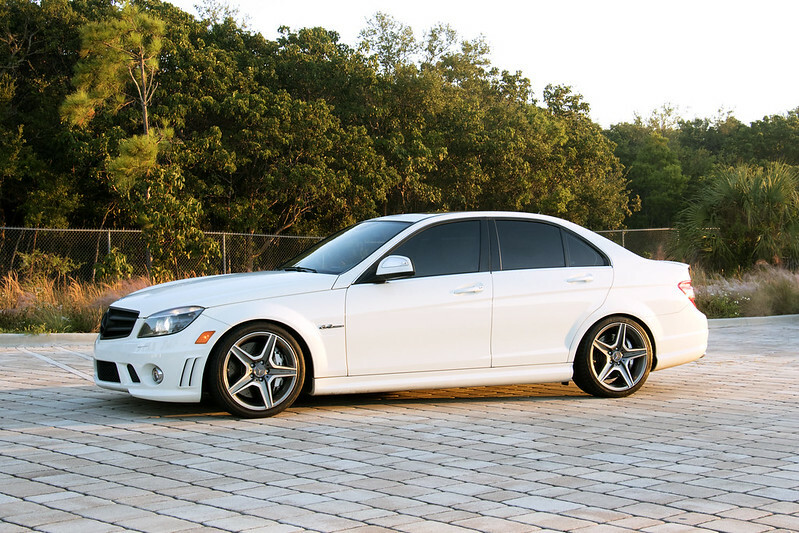 The pre-facelift w204 c63's are falling in value pretty hard. Hence why I just bought one recently as my "daily beater". Anyone have a carfax on the car?